Now that it’s February and we’ve all had a month to recoup from the Christmas season… It’s time to start looking towards the next holiday! 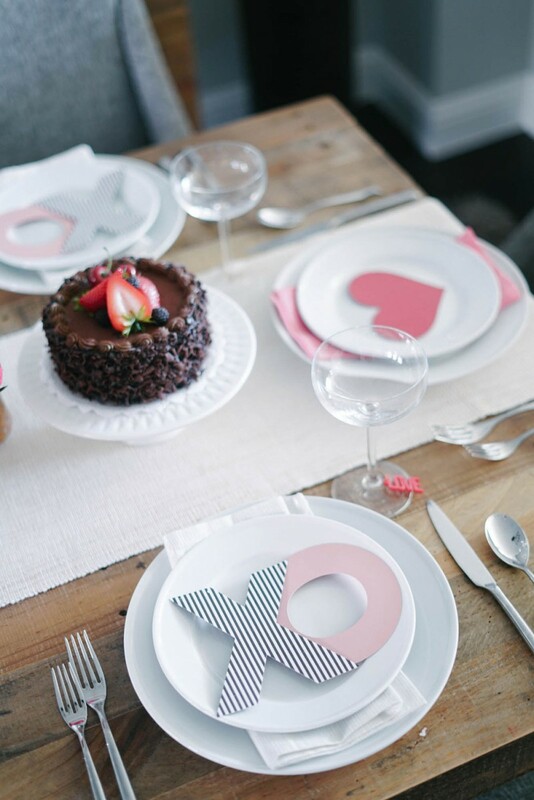 Valentine’s day is two weeks away, and whether you celebrate it with your love or your best girls, this Valentine’s Day tablescape is perfect. 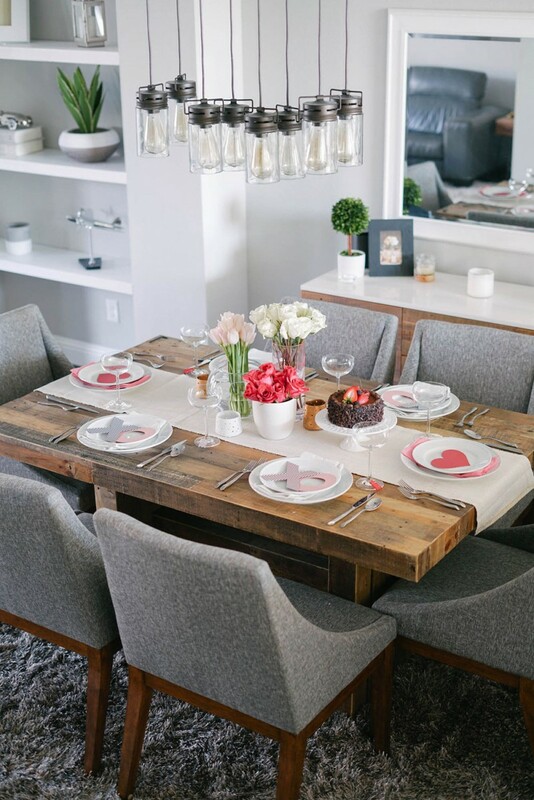 I love this table decor because it has that Valentine’s day touch but with a grown up feel. 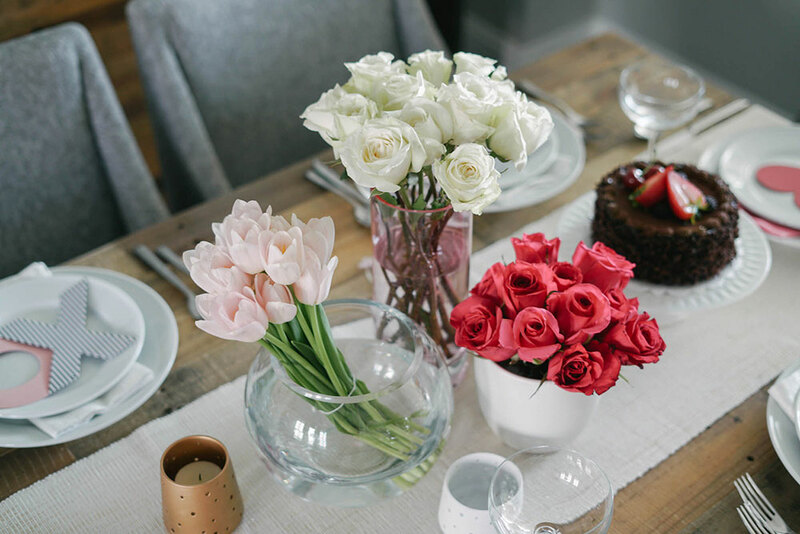 This tablescape is pretty easy to put together. All I had to go out and buy were the fresh flowers and the “xo” plate toppers. I didn’t want to overdue it with too much with pink so I choose flowers in three different colors. 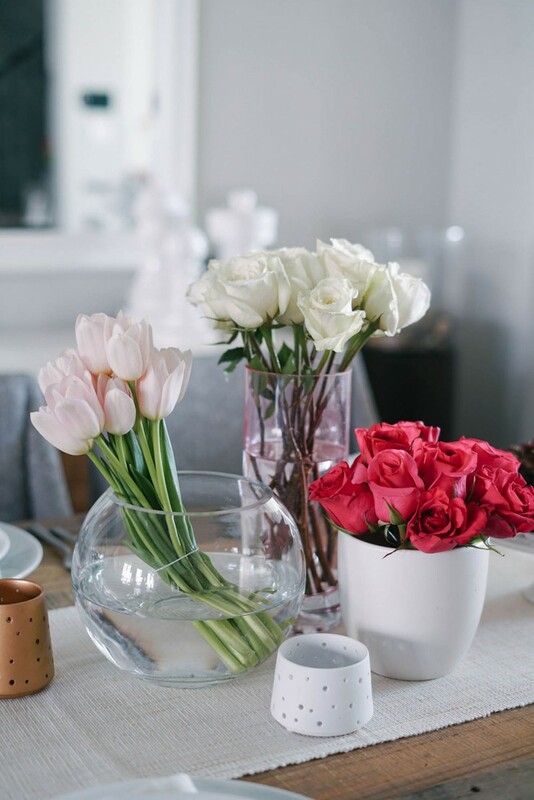 Bright pink roses, blush pink tulips, and white roses. To be honest, when I went to pick up the flowers, there weren’t to many option to choose from but these happened to work out just fine. 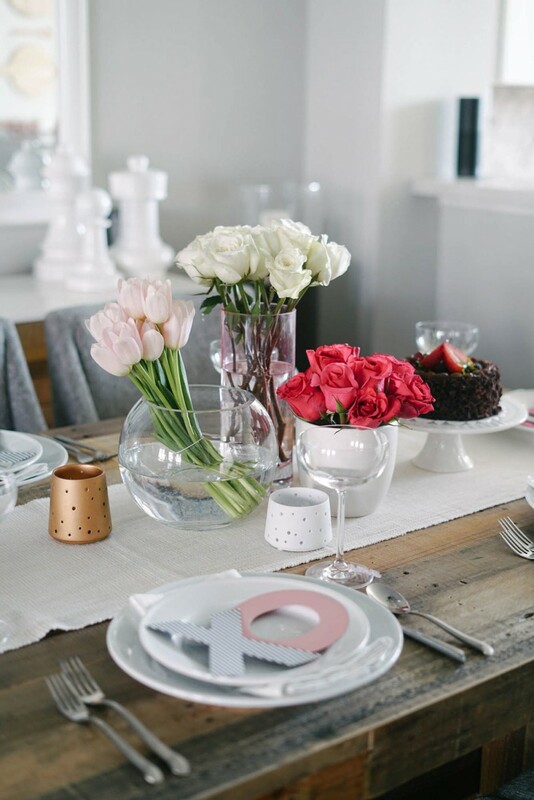 I used white napkins, with small silver metallic stripes, on 4 of the plate settings and pink napkins on the plate settings at each end of the table. I felt that having the pink napkins on each setting was a bit too much pink for me. 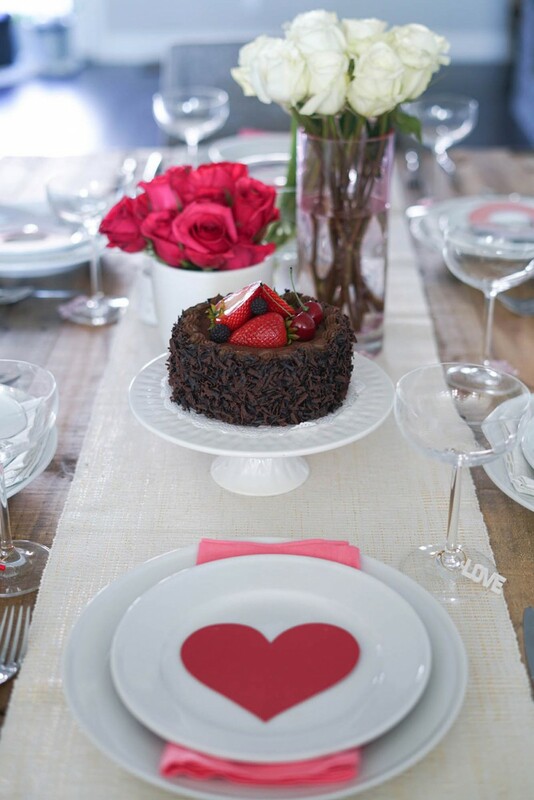 What’s Valentine’s Day without a little chocolate? I admit, this chocolate cake is actually fake… my mom picked up at a little store somewhere near San Antonio but If you are ever on the hunt for faux pastries, Amazon has quite a few of them. I always prefer to stay in on Valentine’s Day instead of going out to a restaurant. It’s always so crowded and crazy on these types of holidays! What about you guys? Also, if you stay in you get to enjoy your beautiful decor! 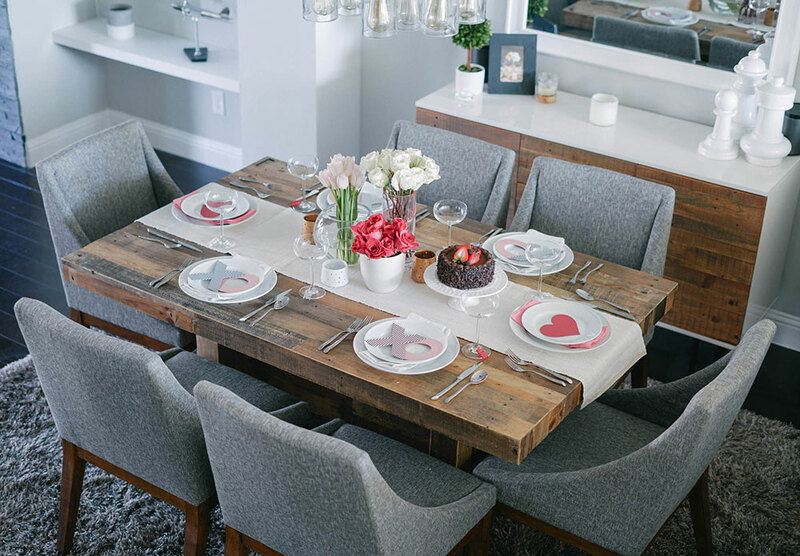 I hope you guys liked this Valentine’s Day tablescape inspiration. Don’t forget to follow my new Home Decor Instagram, homebylynny, for more ideas and inspiration! Where did you get these chairs?